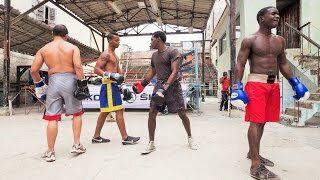 Havana in La Habana with it's 2,163,824 habitants is a town located in Cuba. It's the capital of this country. Time in Havana is now 05:15 PM (Monday). The local timezone is named America / Havana with an UTC offset of -4 hours. We know of 8 airports closer to Havana, of which two are larger airports. 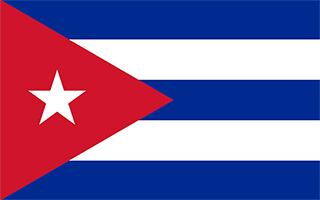 The closest airport in Cuba is José Martí International Airport in a distance of 10 mi (or 16 km), South. Besides the airports, there are other travel options available (check left side). There are two Unesco world heritage sites nearby. The closest heritage site in Cuba is Viñales Valley in a distance of 36 mi (or 58 km), South. In need of a room? We compiled a list of available hotels close to the map centre further down the page. Since you are here already, you might want to pay a visit to some of the following locations: Bejucal, Bauta, San Antonio de los Banos, Caimito and San Jose de las Lajas. To further explore this place, just scroll down and browse the available info. Let's start with some photos from the area. Check out more videos and pics of Havana at http://www.BestCubaGuide.com Or, download my complete Real Havana guide-book at http://amzn.to/1hdXoEO The corner of 23 Street (La Rampa) and G.
Check out more videos and pics of Havana at http://www.BestCubaGuide.com Or, download my complete Real Havana guide-book at http://amzn.to/1hdXoEO. Check out more videos and pics of Havana at http://www.BestCubaGuide.com Or, download my complete Real Havana guide-book at http://amzn.to/1hdXoEO Now this is where average Cuban shop. Located at 23.1408, -82.3569 (Lat. / Lng. ), about 2 miles away. The Museum of the Revolution (Spanish: Museo de la Revolución) is a museum located in the Old Havana section of Havana, Cuba. The museum is housed in what was the Presidential Palace of all Cuban presidents from Mario García Menocal to Fulgencio Batista. It became the Museum of the Revolution during the years following the Cuban revolution. Located at 23.1417, -82.3567 (Lat. / Lng. ), about 2 miles away. El Capitolio, or National Capitol Building in Havana, Cuba, was the seat of government in Cuba until after the Cuban Revolution in 1959, and is now home to the Cuban Academy of Sciences. Its design and name recall the United States Capitol in Washington, D.C. , but it is only superficially similar. Completed in 1929, it was the tallest building in Havana until the 1950s and houses the world's third largest indoor statue. Located at 23.1353, -82.3594 (Lat. / Lng. ), about 2 miles away. The Gran Teatro de La Habana (Spanish "Great Theatre of Havana") is located in the Paseo del Prado in Havana, Cuba. 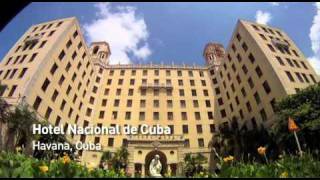 It is located in a building known as the Palace of the Galician Centre which served as a place of social reunion for the Galician immigrants in Havana. The theatre has been home of the Cuban National Ballet and, on its main stage, of the International Ballet Festival of Havana. Located at 23.1368, -82.3596 (Lat. / Lng. ), about 2 miles away. The National Museum of Fine Arts of Havana (Museo Nacional de Bellas Artes de La Habana) in Havana, Cuba is a museum of Fine Arts that exhibits Cuban art collections from the colonial times up to contemporary generations. It was founded on February 23, 1913 due to the efforts of its first director, Emilio Heredia, a well-known architect. After frequent moves it was finally placed on the block once occupied by the old Colon Market. Located at 23.1402, -82.3572 (Lat. / Lng. ), about 2 miles away. Manzana de Gómez (Gómez Block), a 20th century building in Havana, was the first shopping mall in Cuba. It is 5 stories tall. It was built by José Gómez-Mena Vila. The 1910 landmark structure was the first European-style shopping arcade in Cuba. Located at 23.138, -82.3579 (Lat. / Lng. ), about 2 miles away. Located at 23.1373, -82.3573 (Lat. / Lng. ), about 2 miles away. Havana Central (Spanish: La Habana Central; the "Central Railway Station", Estación Central de Ferrocarriles), is the main railway terminal in Havana and the largest railway station in Cuba, is the hub of the rail system in the country. Located at 23.1297, -82.3553 (Lat. / Lng. ), about 2 miles away. Sloppy Joe's Bar was a historic bar located in Havana, Cuba. The advent of Prohibition in the United States spurred its original owner, Jose Garcia Abeal, to change the emphasis from food service to liquor service when American tourists would visit Havana for the nightlife, the gambling and the alcohol they could not obtain back home. Sloppy Joe's welcomed tourists for over four decades, and offered over 80 cocktails in addition to the bar's own brand of 12 year old rum. Located at 23.1395, -82.358 (Lat. / Lng. ), about 2 miles away. 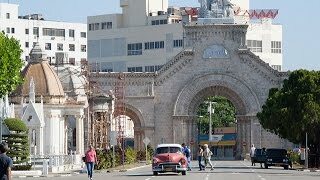 Paseo del Prado, is a street in Havana, Cuba, on the dividing line between Centro Habana and Old Havana. 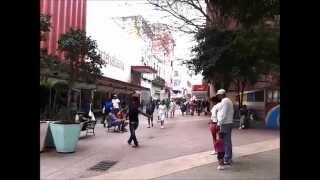 Technically, the Paseo includes entire length of Paseo Martí, including: The divided street with promenade extending from the Malecón at San Salvador de la Punta Fortress south to Neptuno Street The street along the west side of the Parque Central The street on the east side of the Capitolio The area around the Fuente de la India fountain. Located at 23.1372, -82.3589 (Lat. / Lng. ), about 2 miles away. These districts belong to Havana.